Saoirse Ronan revealed that her entire shape changed during the filming of Mary Queen of Scots due to weeks spent filming in “corsets”. Of course we should stress for costume purists that Mary Queen of Scots would have been wearing Elizabethan stays rather than a corset. Indeed, up to a month after wrapping the shoot, Saoirse Ronan said she was still displaying curves she didn’t have before filming the highly-anticipated movie. 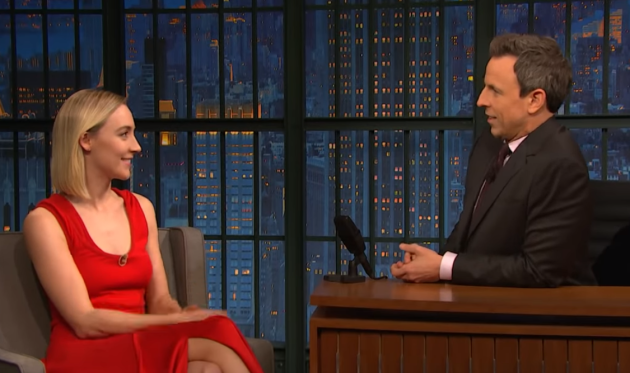 “When you’ve been wearing them like we did for months, you take them off at the end of the job and your shape has changed,” she said in an interview with Seth Meyers.